Ran Stewart is a fine art painter who works primarily from his studio in Salt Lake City Utah. His journey as an artist began at the age of nine when he took a small paint by numbers set his parents had gotten for him, painted over the pattern and made his own painting. His work is an exploration of the movement of time and space within a two-dimensional space. The work takes on a moodiness and sense of movement due to the distinct brush work and limited pallet. Inspired by the impressionist, Stewart says he likes to hint at the scene and allow the viewer to insert themselves into the story unfolding in front of them. “Many of my pieces tell a story, but that story isn’t mine, instead it lives in the imagination of the viewer and evolves as they interpret the art for themselves,” says Stewart. He struggled in his youth having been born with multiple vision issues including having strabismus (lazy eye), extreme farsightedness, astigmatism and dyslexia. “I had my first pair of corrective lenses by the age of 18 months and had four surgeries to correct my strabismus by the time I was 7 years old,” he explained. “Not to mention several more surgeries in adulthood.” Throughout grade school he always had to wear a patch over one of his eyes. Sight he says is something he doesnt take for granted and his struggles with vision have certainly shaped how he perceives the world. 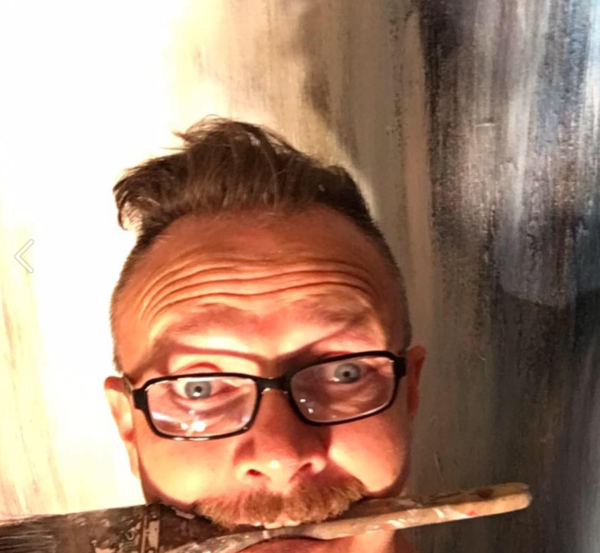 Throughout his adult life Stewart always dipped his toe into fine art as a profession but still spent many years as a marketing consultant and art director and has only been a full-time artist for the past seven years. Stewart has a diverse educational background which includes a bachelor’s degree from Utah State University in Psychology and Communication and a Masters from Full Sail University in New Media Design. He has studied many different art techniques through classes and workshops in a variety of subjects that include artistic welding, photography, painting, and sculpting. In college although he didn’t seek an art education Stewart remained connected to art by continuing to paint and as one of the few males willing to pose for the various art classes as an undraped model. “I learned a great deal as an art model sitting through countless hours of art classes as the subject. Although I wasn’t actively creating the art myself, I was able to learn various techniques and then try them out at home afterward. I guess in a way you could say I learned much of my technique ‘au natural’,” joked Stewart. Growing up in a beautiful rugged mountain terrain, he was inspired to paint nature and adopted the style of the Hudson River School, painting moody nature scenes with heavy use of dramatic light in the style of Turner. 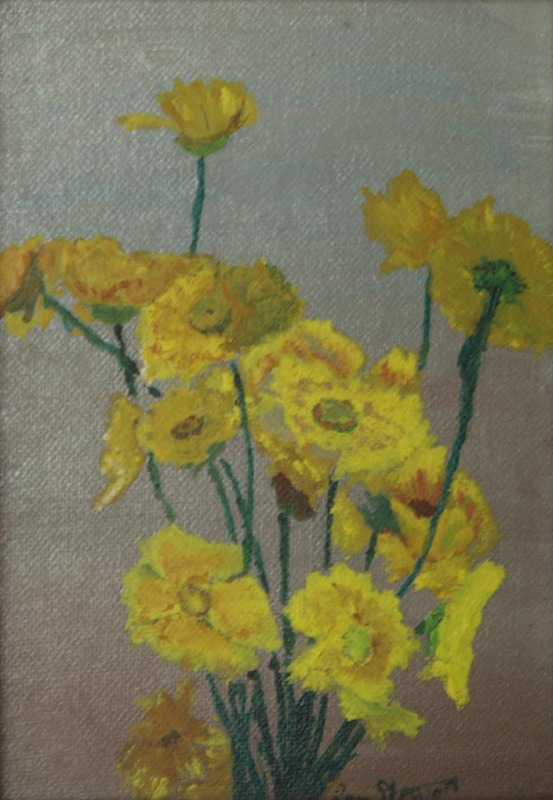 Although his style and subject matter have shifted over the years, the impressionist roots remain.